A comprehensive formula for the support of hip and joint function for dogs in any stage of life. Recommended for geriatric, retired, working or sporting breeds. Supports joint structure and function in healthy pets. Helps with flexibilty and joint comfort in older pets. Because not everyday is a walk in the park, HIP + JOINT is an advanced joint support formula for dogs at any stage of life. HIP + JOINT comprehensive formula supports the hips, joints and connective tissue function in dogs of any breed. HIP + JOINT is packed with glucosamine, MSM and chondroitin sulfates so that whether your goal is to support joint structure of a healthy pet or help with flexibility and comfort in an older pet, we’ve got you covered. 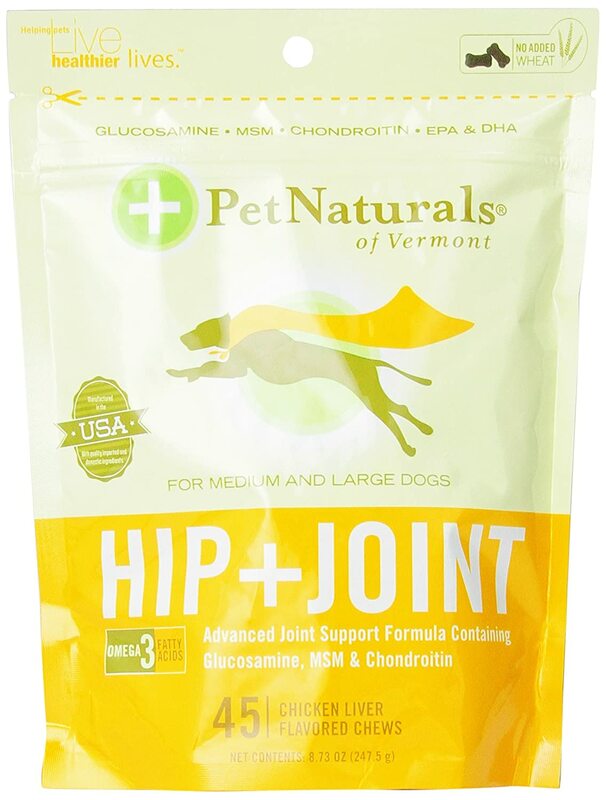 Help fight wear and tear and support your dog’s joints with HIP + JOINT. 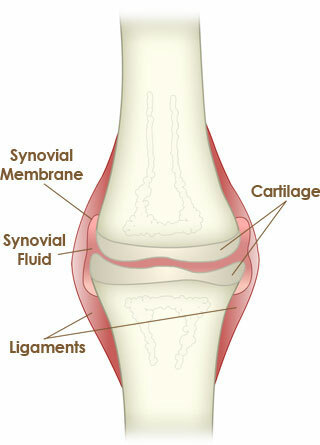 Glucosamine is the fundamental building block of joint cartilage. It is the precursor to the production of glycosaminoglycans, which give shape, elasticity and rigidity to connective tissue. Glucosamine is a key nutrient for the support and repair of injured or stressed joints. Research has shown that when linked with chondroitin sulfates, glucosamine is more supportive. Chondroitins support cartilage health, which is beneficial for geriatric pets. The chondroitin sulfates work as a lubricating cushion between bones, reducing friction and protecting the joint from decay. Methylsulfonylmethane (MSM) is an organic source of sulfur that aids in joint comfort. MSM concentration declines with age and stress and is important to include it in a healthy diet, especially for geriatric pets. HIP + JOINT features our patented Dimethylglycine (DMG), an adaptogen known for its immune support properties. DMG is a derivative of the amino acid glycine, naturally occurs in the body in small amounts and promotes better nutrient delivery to the joints. EPA and DHA, from fish oil, balance prostaglandins and leukotrines to support joint and connective tissue health. 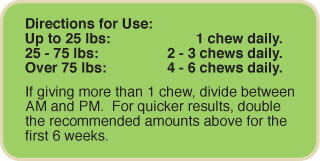 With high levels of these important quality ingredients offer your dog better joint support for a healthier, happier dog. Movement is huge part of your dog’s life! Give him the support he needs for every stage of life and help him feel like the super dog he is! Available for dogs of all shapes and sizes! From our littlest friends to the biggest buds, HIP+ JOINT comes in three sizes to support joints of all proportions.